In bad times as in good, in a democracy the public library is a great educator of the public, open and free to all, regardless of wealth or age or any qualification other than human curiosity to learn. To nourish our libraries is to nourish the Commonwealth. 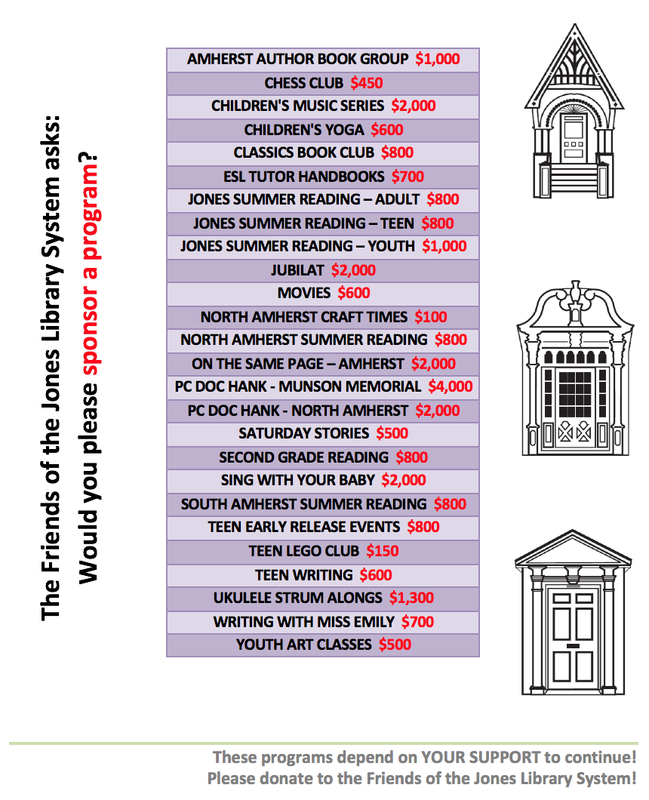 In light of that, the Board of the Friends of the Jones Library System in Amherst MA strongly supports the restoration of funding to regional libraries in the state budget that has been cut severely in Governor Patrick's original budget proposal.